This is the result of putting shingles on a roof below 2"/12"
not once, but twice! two layers. 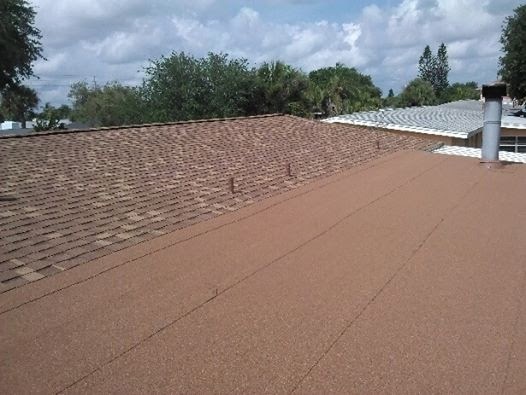 Certainteed makes modified bitumen flat roof material to match the shingles. End result, a nice roof.